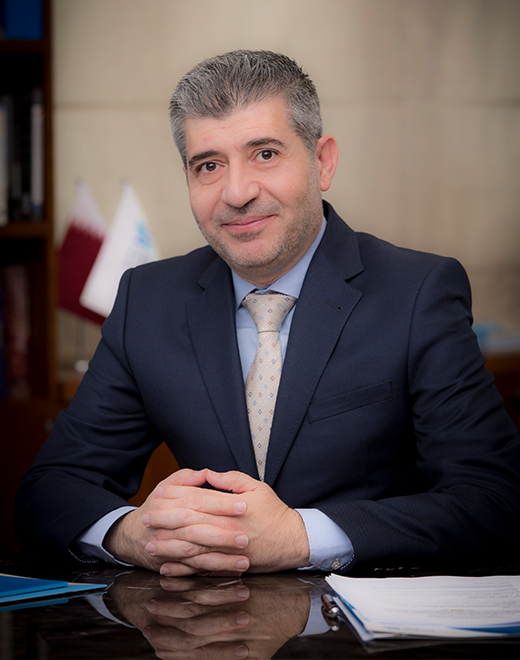 Dr. Ahmad M. Hasnah is the president of Hamad Bin Khalifa University (HBKU), a member of Qatar Foundation for Education, Science, and Community Development in Doha, Qatar. Since he joined QF in 2002, Dr. Hasnah has been a key player in the development of Education City into a unique hub for knowledge and education through partnerships with world-class educational and research institutions. In his roles as the Director of Academic Affairs and later on as the Associate Vice President for Higher Education, Dr. Hasnah has been actively involved in the negotiations which led to the joining of many of the QF partner universities Qatar Campus’, such as Texas A&M University, Carnegie Mellon University, Georgetown University. Following his appointment as the Executive Vice-President and Provost of HBKU in May 2014, he was instrumental in the establishment of four new colleges namely, the College of Science and Engineering, College of Law and Public Policy, College of Health and Life Sciences, and College of Humanities and Social Science, offering interdisciplinary postgraduate and PhD programs within Hamad Bin Khalifa University. Dr. Hasnah has contributed to the Research and Development Enterprise of QF and served as a member of the Steering committee of the Qatar National Research Fund and the QF Strategic Research Board. Moreover, he is currently overseeing three research institutes under HBKU that focus on Qatar’s Grand Challenges in the areas of energy and environment, biomedical and computing. Dr. Hasnah has also taken part in the conception and shaping of the World Innovation Summit for Education (WISE), a unique global event which aims to create an international multi-disciplinary platform to shape education models, explore ground-breaking innovations and take concrete steps in making significant improvements to worldwide education in the 21st century. Dr. Hasnah is on many Joint Advisory Boards, including Texas A&M University at Qatar, Carnegie Mellon University in Qatar and Virginia Commonwealth University in Qatar. He is a member of the Board of Trustees of the Community College of Qatar. Dr. Hasnah has been a panelist in many international conferences such as the NAFSA Conference in the US, Going Global Forum, SCUP North Atlantic Regional Conference, and Reinventing Higher Education Conference at IE University in Madrid. Dr. Hasnah holds a Masters (1993) and PhD (1996) in Computer Science from the Illinois Institute of Technology, USA. He graduated from Qatar University in 1990 with a Bachelor of Science in Mathematics and Physics.